Enjoy a lush, green lawn at your home or business. 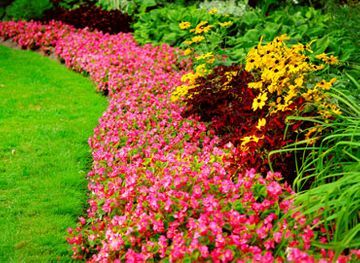 You want your lawn to look lush and green. If you have a garden, you want it to flower and bloom. But your lawn is too big to water by hand, and you don’t have enough time to water every individual plant in your garden. How will you achieve the lavish look you desire for your home? 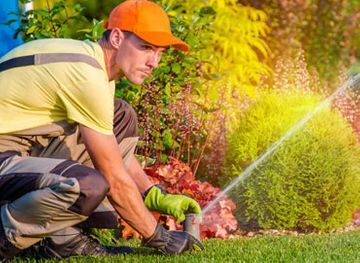 Spring Showers Irrigation installs and repairs sprinkler systems on Oakville properties, so that you can attain the outdoor look you crave. We also create irrigation systems for larger plots of land. Whether you require our services in residential, commercial, or industrial areas, we are ready to help your lawn or garden grow. We have been a family-owned and -operated business serving the Greater Toronto Area for 10 years. We value family, respect, and professionalism over all else. 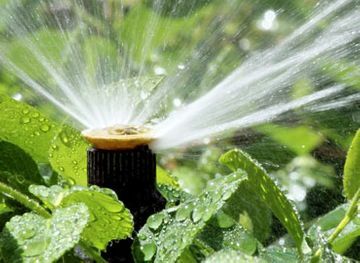 When you choose Spring Showers Irrigation, you can trust the work we perform. Our technicians have no less than five years of experience in the industry, which means that you can count on us to do the job right. Our irrigation systems and sprinkler systems in Oakville and the Greater Toronto Area work perfectly for your home, office building, or industrial lawns. Not sure if you will profit from irrigation systems or automatic sprinkler systems? You might want to read about the benefits of irrigation or learn about the convenience of automatic sprinklers. Explore our gallery to see how we can improve the look of your residential, commercial, or industrial property. What Are the Benefits of Irrigation? Irrigation systems offer water conservation and more. From system installations to sprinkler repairs, we do it all. Get the skinny on automatic controllers, valves, sprinklers, and more. Call us at 905-309-1618 to request one of our sprinkler systems for your Oakville home or business. You can also contact us for a free quote on your next sprinkler project. Check out our resources section for even more useful tips.